What’s biodegradable, reusable and downright stylish? A gorgeous and totally green wedding! With the eco-friendly movement in full swing, it’s comes as no surprise that many couples are making environmentally friendly decisions when it comes to their nuptials. A Stylish & Significant Space: Give back by choosing a location that benefits your community, like a museum or local art gallery. You can also find charitably minded outdoor locations that offer a gorgeous space and donate to a non-profit organization, such as a botanical garden, arboretum or historical site. 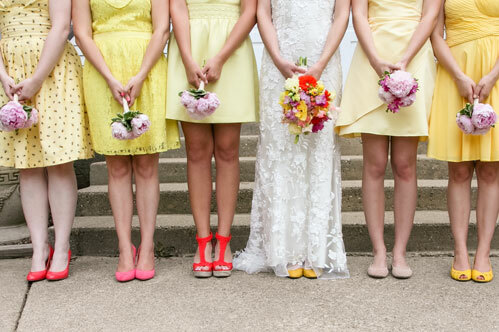 Eco-Conscious Accessories: Get ready for this — it’s possible to choose wedding shoes that are not only gorgeous, but also easy to re-wear again and again. Quite the concept, right?! 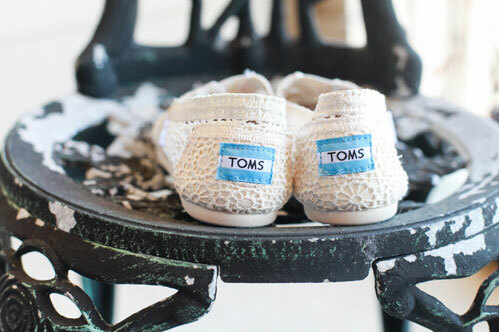 Cute and casual flats are always a winner, and TOMS allow you to be comfortable and give back to an amazing cause. 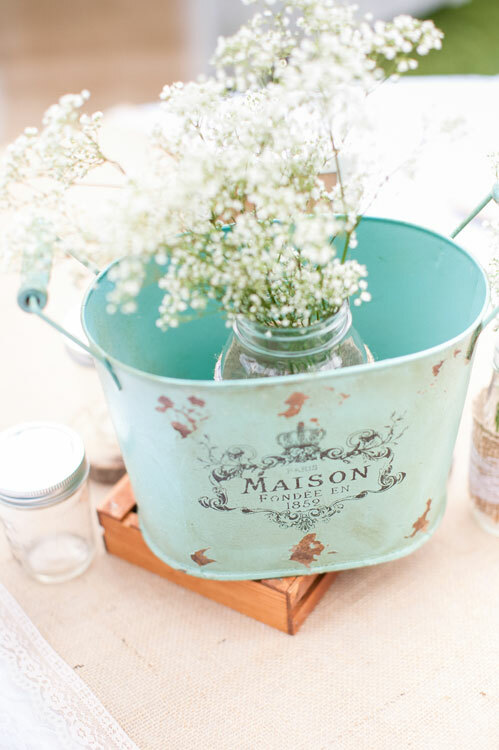 Sweet & Shabby-Chic: Not only is this theme totally on-trend, but it’s the perfect way to reuse and recycle for your wedding day! 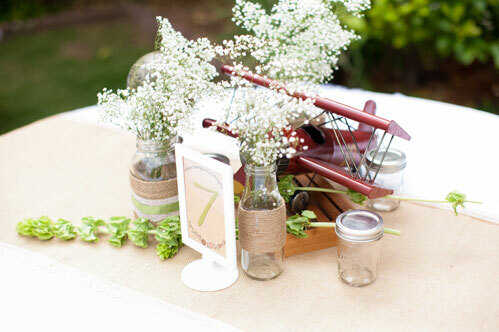 Books, mason jars, vases and birdcages all make for great vintage-inspired decor and are available at most local thrift shops and antique stores. Farm-to-Table Fare: Decrease your carbon footprint and chat with your caterer or venue about ways you can incorporate locally sourced ingredients into your menu. This is a great option for your floral arrangements, as well! 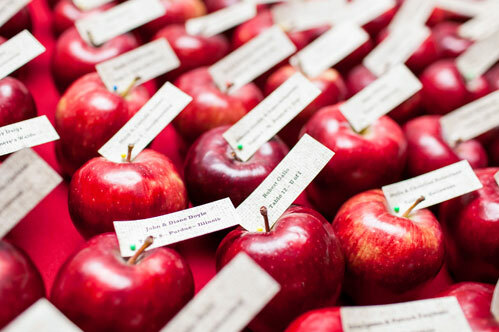 Plus, you’ll be supporting your local economy and giving your wedding a priceless, personalized touch. 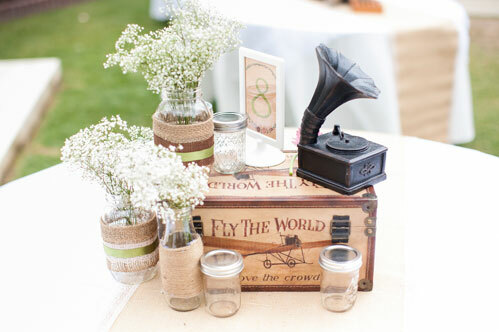 Honorable Heirlooms: Your wedding is all about cherishing the past and treasuring the future. Why not combine both worlds on the big day? Family heirlooms, such as table linens for your reception or wearing your grandmother’s jewelry, will add a memorable, personal touch to your day, while also making an effort for the environment. Inspired to go green? Take these tips and put your green thumb to the test! There’s no doubt you’ll feel good putting your special day to work for the earth.